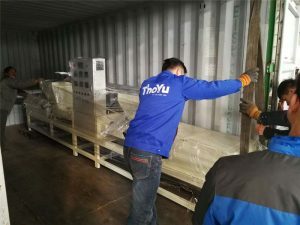 Tunisian clients reordered pallet block machines from ThoYu, and ThoYu is the leading pallet block machine manufacturer in China. The clients from Tunisia visited our pallet block machines factory last year. And they had ordered the whole automatic pallet block production line. Besides, all machines includes six sets of wood pallet blocks machine, and corollary equipment such as wood chipping machine, wood crusher, rotary drum wood dryer, and glue mixer. Meanwhile, we also equipped with conveying equipment, which save the labor cost. The Tunisian customer is the beginner in the wood working industry. But they reordered more new moulds after half year operation. And they can supply pallet blocks with 75*75 cm in abundance. If you want to buy pallet blocks, you can contact us. Pallet blocks are the essential parts for wooden pallets. And the moulded wood block is better than the traditional pallet block. The traditional pallet block is made of log or timber, so the price is very high. Moreover, the timbers’ price is up recently, so the price of pallet block is rising also along with them. However, moulded wood block is made of wood waste. It not only solve the problem of wood waste disposal, but also gain more additional profit. The raw materials of moulded wood pallet block are abundant. Ant they are sawdust and wood chips. At the same time, raw materials for moulded pallet block machines are waste wood, scrap of the wood, wood shaving, big chips, burned forest, wood board, branches, wood flakes, and waste pallets, and so on. Hence, they can reduce the production cost, and also get the return in the short time. In addition, the final moulded wood block is superior in performance. Free fumigation and free quarantine. Because the pallet block is made by hot pressing, it is free fumigation. “No-solid-wood” material according to international regulations for the treatment of timber packaging – ISPM 15. Small space required for storage. Very good safety for automatic pallet production and in computer-controlled high bay shelving warehouses. No drying costs – moisture content on delivery 8%. True to size with uniform moisture content. Retains shape with fluctuating temperatures. Environmentally friendly timber product of natural coniferous chips and old timber/recycling material. Oversea installation is available for every client abroad. 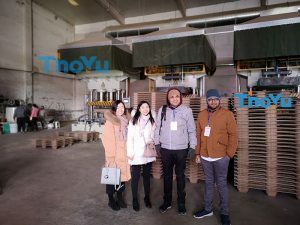 And ThoYu had installed a number of moulded wood pallet block machines in many countries, such as Spain, Greece, Turkey, Tunisia, Romania, Dubai, Estonia, Ukraine, Mexico, Argentina, Peru, South Africa, Philippines, India, and Indonesia. What’s more, we serve clients sincerely and also get win-win cooperate with the clients around the world. 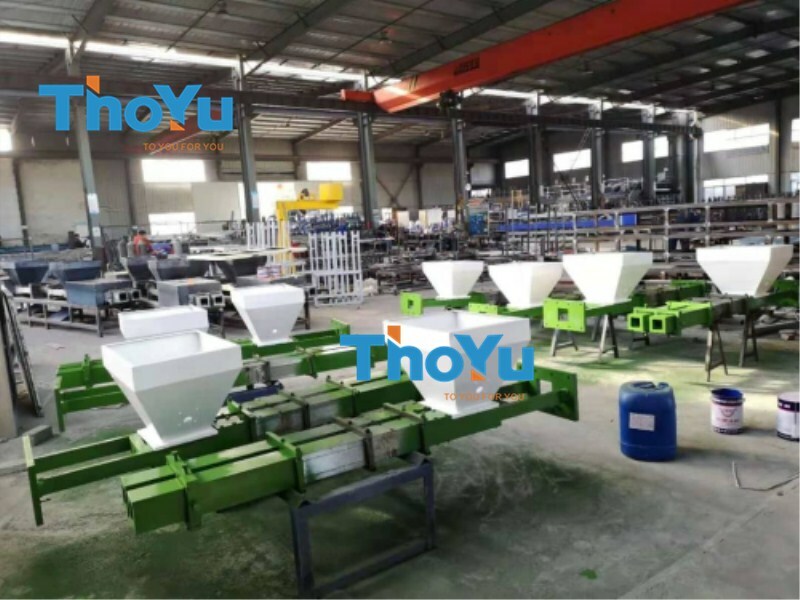 Not only ThoYu supply good quality machines as a manufacturer but also supply good service. Every year we will visit our clients’ factory to do normal maintenance and update our new technology. Our mission is to you for you. 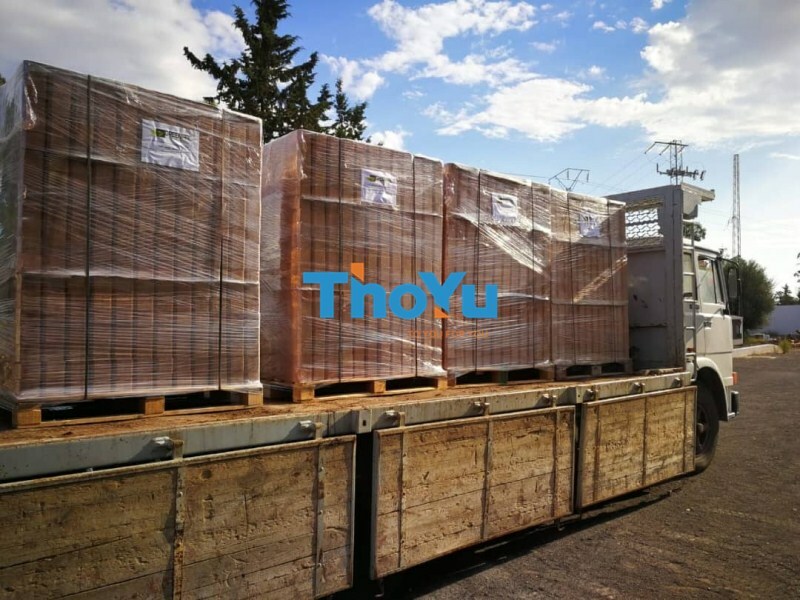 In a word, ThoYu recommends you superior pallet block supplier. 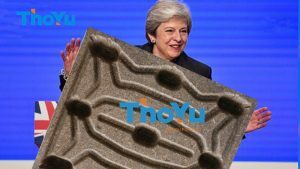 If you mention ThoYu when you buy moulded pallet blocks, you will get the better service and the lower price. Welcome to contact us, and we will reply you in 24 hours. If you want an immediate response, please call us Robin, +86 13733828553, or send email to robin@thoyu.com.